According to a new report from Committee on the Long-Run Macroeconomic Effects of the Aging U.S. Population—Phase II of the National Research Council, there’s a large and growing gap between the life expectancies (for both men and women) of those at the top and bottom of the distribution of income in the United States. For example, for a period of more than 30 years, there will have been no net gains in life expectancy at age 50 for males at the bottom of the earnings distribution. 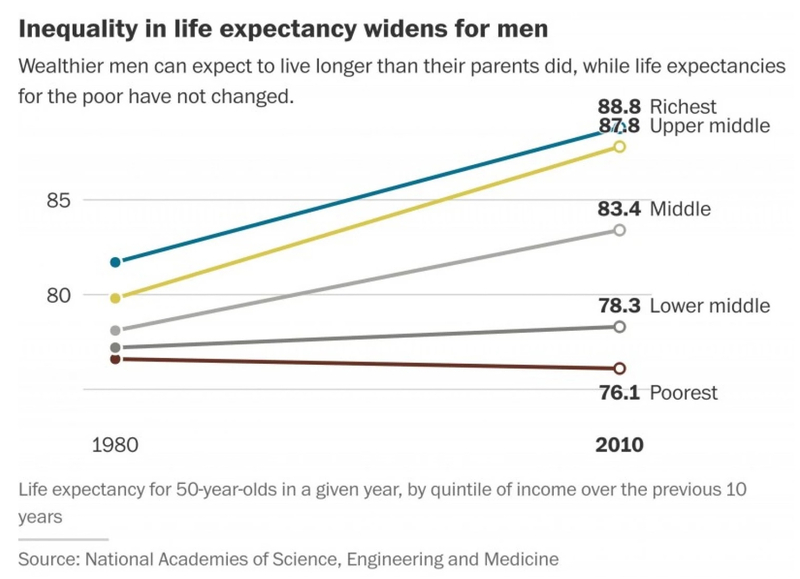 However, for males in the top earnings quintile, life expectancy at age 50 for the 1930 birth cohort is 31.7 years while, for those born in 1960, life expectancy at age 50 is projected to rise to 38.8 years. between the 1930 cohort and the 1960 cohort, according to these estimates and projections, life expectancy is roughly unchanged for males at the bottom of the earnings distribution but increases by more than 7 years for those at the top. 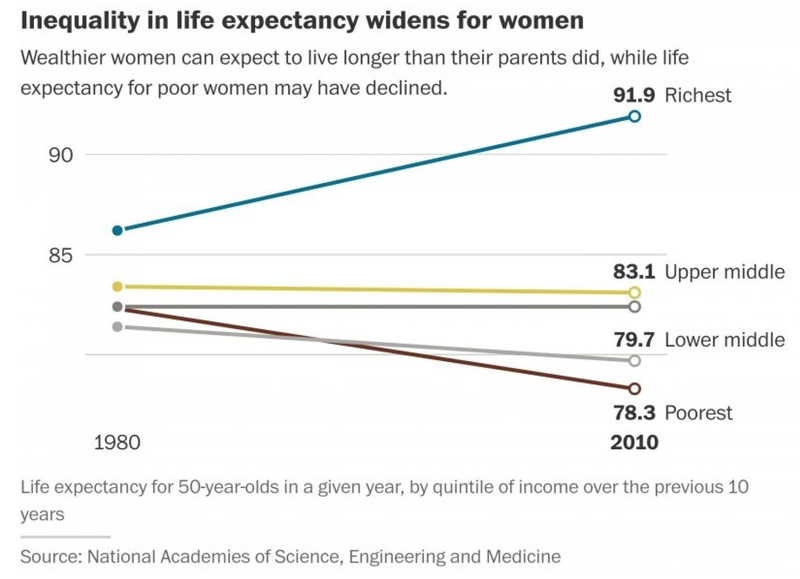 The implication of these differential trends is that the gap in life expectancies is expanding rapidly. For males born in the 1930 cohort, the highest quintile’s life expectancy at age 50 is 5.1 years longer than the lowest quintile’s. For males born in the 1960 cohort, the projected gap widens to 12.7 years. For women, the differences in life expectancies between those at the top and the bottom are over more pronounced. These differences, in and of themselves, are extraordinary. Four decades of rising economic inequality have resulted in rising inequality in life expectancies. The differences in life expectancies also mean that those who want to raise the retirement age (because average life expectancies have been rising) are disproportionately hurting workers at the bottom, since their expected lifetime losses from cuts in Social Security benefits are much larger than for those at the top. Think about it: growing inequality means that the richest among us are living much longer than men and women at the bottom. And those at the top who want to cut Social Security benefits are hurting those at the bottom even more after they retire. The grotesque levels of inequality we’re witnessing these days hurt the poorest among us when they’re alive—while they’re working and after they’ve retired—and are pushing those at the bottom to quicker deaths. 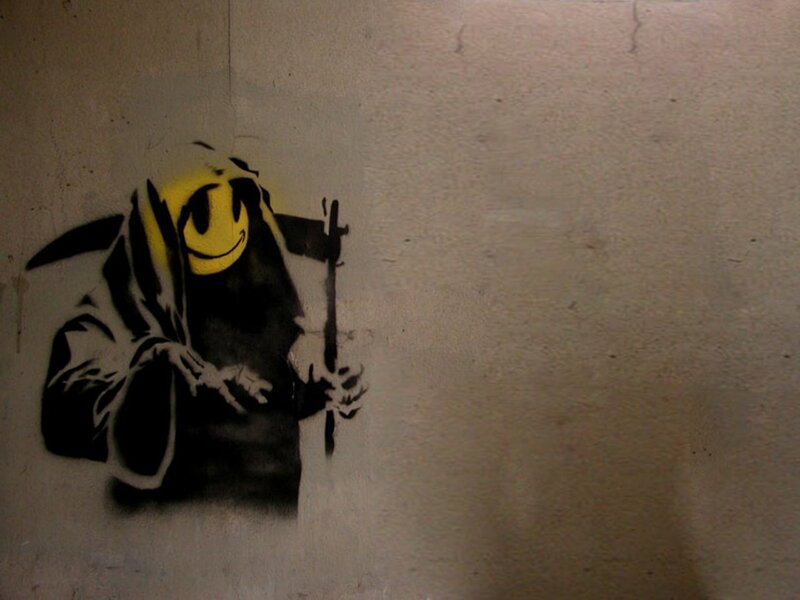 That’s the kind of society we now live (and die) in.